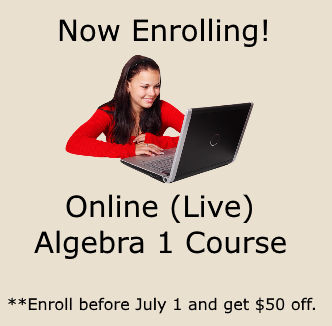 Now is your chance to learn how to use the distributive property and combining like terms in order to solve more complex equations. 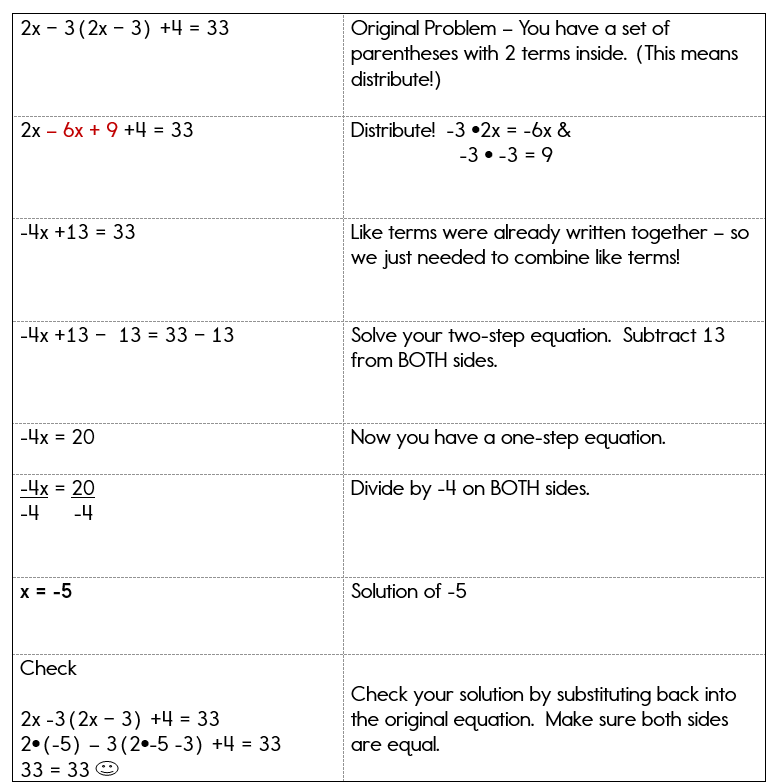 It seems pretty easy to learn all of these skills in isolation, but using them together to solve one problem is the key in Algebra 1. So, how does this work? 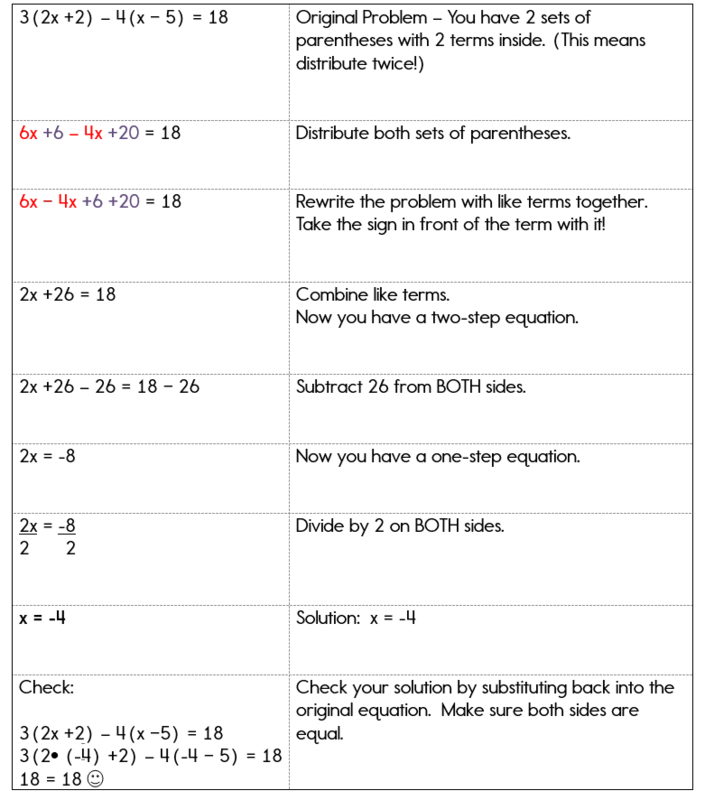 Here are a few steps to take when you come across an algebra equation that looks a little more challenging. If you see parenthesis, with more than one term inside, then distribute first! Rewrite your equations with like terms together. Take the sign in front of each term. Continue solving the one or two-step equation. Let's look at a couple of examples to clarify those steps for you. This first example is a pretty basic equation that involves the distributive property. Take note of how I distribute first before applying the rules for solving equations. That example was pretty easy, I know! Let's look at one that requires a few more steps. This next example looks more confusing because the distributive property comes right in the middle of the equation. You still must distribute first and then combine like terms before solving the equation. Ok... just one more example. This one is a little more difficult. You will have to distribute twice and you must make sure that when you distribute the 4, you actually distribute a negative 4. Remember to take the sign in front. Pay close attention to the signs in this example. 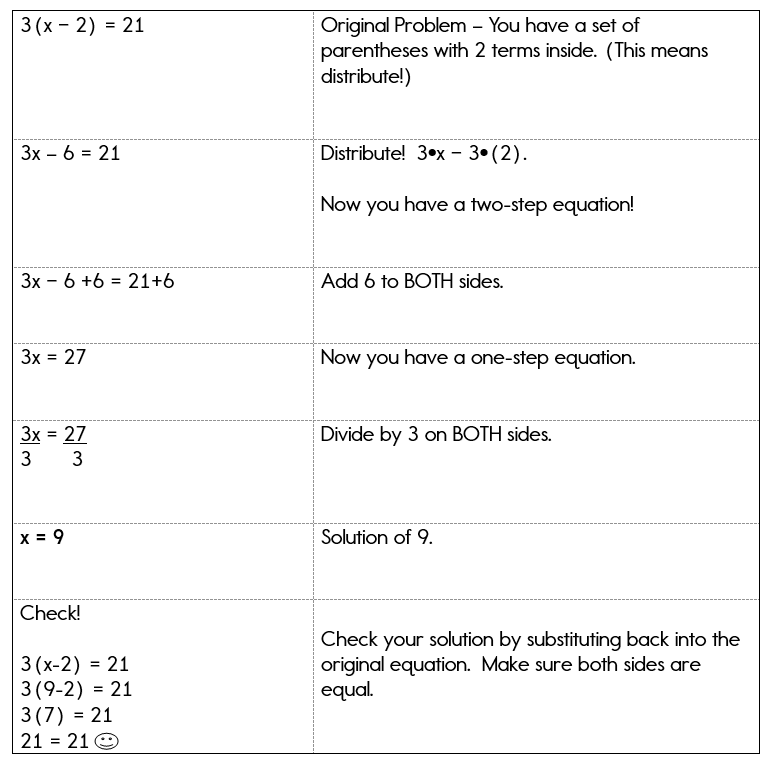 Example 3 - Double Distributive Property! So, how did you do? 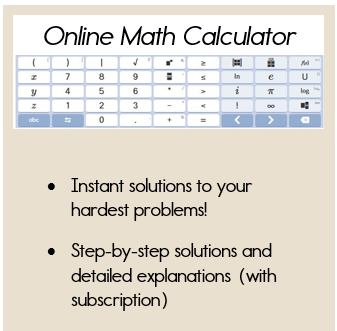 Are you ready to move onto equations with fractions?